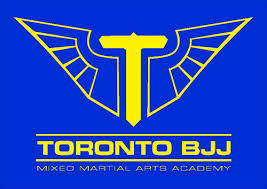 Founded on July 2nd 2013, BJJ Ontario has started its journey with the Mission to promote BJJ and MMA in Mississauga introducing a new way of teaching. In May 2016, Fitness Battalion and BJJ Ontario have joined forces and BJJ Mississauga was born in the Meadowvale Area. Lotfi has been involved in different martial arts style, since the age of 8, such as Karate, Judo and Jeet Kun Do.He started his MMA training at the Legends Gym in Montreal in 2001, after his first MMA fight, he decided to focus on Brazilian Jiu-Jitsu under the mentorship of Koji Murakami at BJJ Revolution Montreal.While perfecting his ground game, He decided to study the art of boxing with Michel Brière to become an Olympic Boxing Certified Coach. In 2007, He was awarded his brown belt by Koji. In 2008, He moved to the UK where he continued training and teaching, mostly focusing on the stand up aspect of fighting, which took him to Tiger Muay Thai in Phuket (Thailand) where he discovered the intricate details of the Thai martial art. 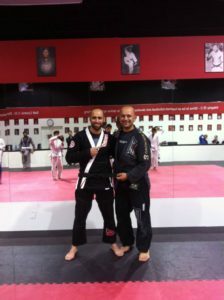 Back to Canada in 2013, He founded BJJ Ontario to teach and promote BJJ and MMA in Mississauga. In 2014, He was awarded his black belt by Koji Murakami and dedicates himself to teaching and training his community by enabling people to stay fit and express themselves through martial arts.